“I am ecstatic about today’s turnout especially because sometimes, we as teachers don’t always come out, we don’t always speak out, we don’t always let our voices be heard, so I am excited that we are out here today doing just that,” said Milondra Coleman, who teaches at John Marshall High in Richmond. 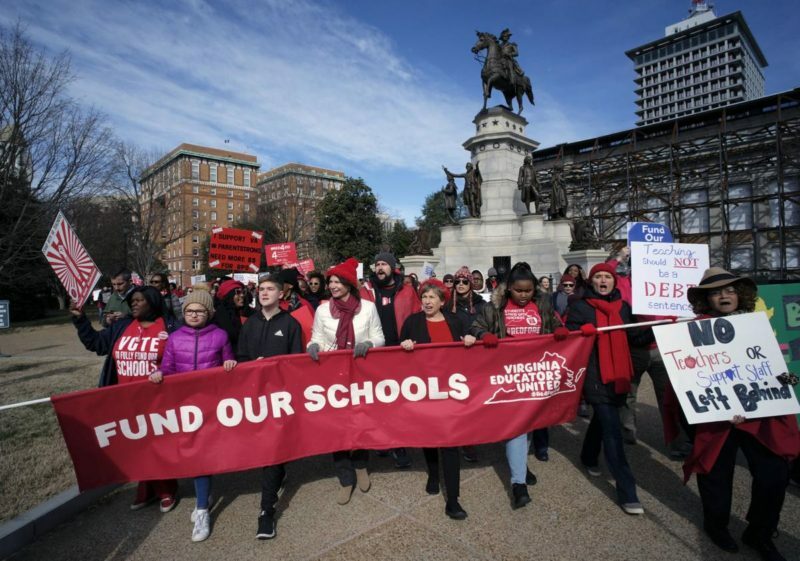 Although the walkout lasted for only one day and many school districts in Virginia did not participate, Coleman said that the action gave teachers a new sense of confidence and power. Go to the Guardian to read the full the story. 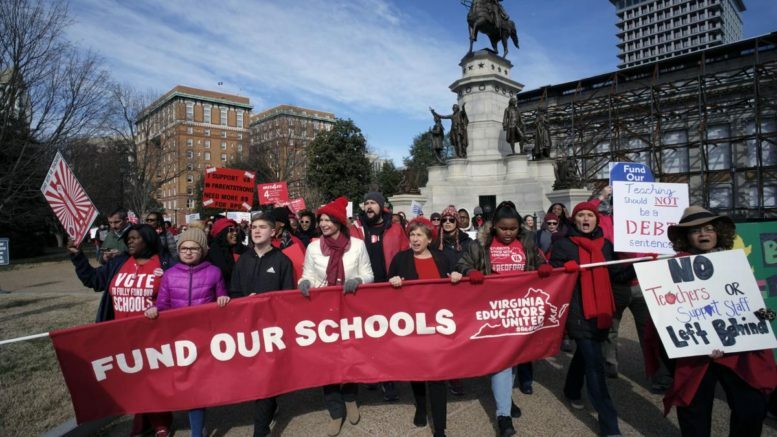 Be the first to comment on "10,000 March during Historic Virginia Teachers’ Walkout"